Here's the cast for our current season. JENNIFER SHEPARD is one of the owners and is proud to say that this is our tenth year! Jen went to school in Iowa and then moved to Chicago. She performed at iO and The Playground Theater and worked with The Galileo Players , Gay Co! and Brick. 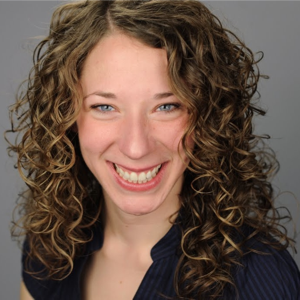 Since moving to Maine she's enjoyed teaching improv at The College of the Atlantic, the Beth C. Wright Cancer Resource Center, on Isle Au Haut & Frenchboro, and at ImprovAcadia. During the winter months she joins Chicago's The Second City performing aboard Norwegian Cruise Lines. If you really love her, send her yarn. K2Tog now! Andrew Bolduc is beyond happy to join ImprovAcadia and return to his native state this summer! Originally from Bangor, ME, he received his BA in government and French from Colby College before moving to Chicago in 2011 to pursue a career in comedy. He studied improvisation at The Annoyance and iO Theater, and performs regularly with a number of groups, including Desperado at the Playground Theater, Zephyr at Comedysportz, and Hot Box at the S***hole. He also writes and performs sketch comedy with Cigarette Sandwich (check it out on youtube). In July, Andy will set sail for the first time with the Second City aboard Norwegian Cruise Lines. Looking forward to seeing a lot of old friends! John Thibodeaux has been improvising in Chicago since 2009. You may have seen him understudy the Second City Mainstage revue South Side of Heaven. You can see him at the iO theater performing with Smokin' Hot Dad and with his good pals in the group 3Peat. 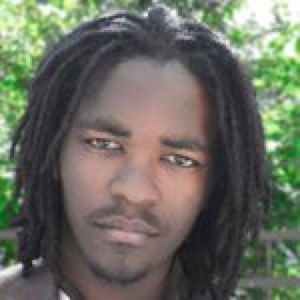 He has also co-created The StartUp with was an official selection of the New York Television Festival and can be found at www.facebook.com/thestartupseries. He would like to thank his family friends, and last but certainly not least Caitlin for all their love and support..
Erin is so thrilled to be performing with ImprovAcadia for the first time this season! Originally from Charlottesville, Virginia, Erin moved to Chicago for fairly boring reasons and is ever grateful to have found her way into the very not-boring world of Chicago improv and theatre. She has trained and performed at iO and the Annoyance and many other joints around Chicago and beyond. Earlier this year, Erin was the title character in Forgiveness, a play by ImprovAcadia alum Julia Weiss. She can be seen playing around with her newest improv collaboration, Cheddar No Pizza, singing with jug band Mr. Mayor and the Highballers, and at various karaoke nights throughout the city. Thanks to Jen and Larrance for this great opportunity, and to Frank and Baxter for holding down the fort in Andersonville! Bill has been performing the improvised arts in the streets and theaters of America since the year 2000. He has studied improvisation at iO, Annoyance, and directly under Keith Johnstone. He has toured to over 50 cities in 24 states and has played in tens of festivals. Currently a house team member of iO Chicago's Dart and The Playground theater's K.C. Redheart, Bill still manages to get out on the road a few times a year with the experimental theater group, Available Cupholders. From shows in parks and on city buses for bystanders to crowded theaters and auditoriums; from short-form to long-form, comedic to dramatic, narrative to avant-garde; from sets that lasted 5 minutes to shows that have lasted 41 hours, Bill has tried everything he and his compatriots could dream up to try in the realm of improvised theater and currently looks forward to continuing that tradition with the ImprovAcadia. Shelby Burton is so excited to be back at Improv Acadia for her 8th season! She is originally from North Carolina, but has lived in Chicago for the past 10 years. Shelby spends the majority of her time educating middle school students young minds on the joys of theater. 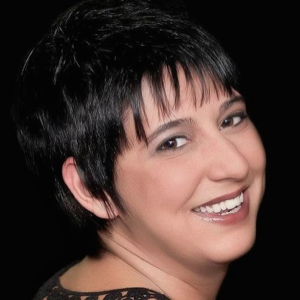 She is an ensemble member and teacher at Laugh Out Loud Theater. She and her husband Joe own Bughouse Theater in Chicago (www.bughousetheater.com), where she also serves as the Director of Outreach and Education. 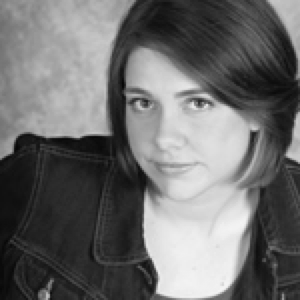 In addition, she directs the children's show Hogwash: An Improvised Tall Tale for Children (www.hogwashkids.com). She would like to thank her husband Joe and family for all of their support, Linda and Joe for coming all the way to Maine to entertain our son Crash, and to Jen and Larrance for everything they do to make Improv Acadia a place we love coming every summer! Mark is thrilled to be a part of ImprovAcadia this season! This will be his first time in Bar Harbor and he couldn't be more excited. Mark performs comedy in Atlanta, Georgia with Dad's Garage Theatre, The Basement Theatre, Improv School of Atlanta and Sketchworks Comedy among other places. 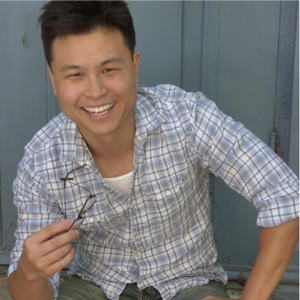 Jin Kim is excited to be a part of ImprovAcadia's 11th season! He once played a virtuous young woodcutter in a school play and has never looked back. 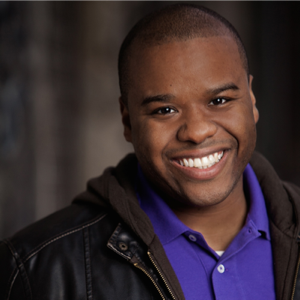 The UNC graduate and Chicago resident currently performs regularly at Laugh Out Loud Theater in sunny Schaumburg. Thank you to Jen & Larrance for this awesome opportunity, and special thanks to friends and family for their tireless support, no matter the pursuit. 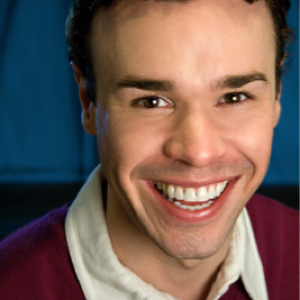 Dennis Price returns to ImprovAcadia and beautiful Bar Harbor for his second year. 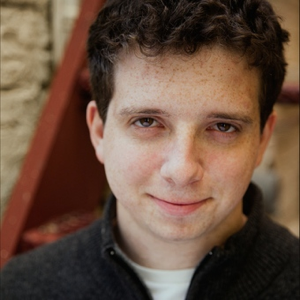 Dennis studied theater at Virginia Tech and improvisation with ImprovOlympic, the Playground, and Second City in Chicago. During his time in Chicago he performed with house team, Honeyslide, where he was first introduced to musical stylings Larrance Fingerhut! Thanks to both Jen and Larrance for including me in your little piece of coastal heaven. They make a difficult job look easy. I hope you enjoy it. And remember, Dennis ain't hungry, but Dennis could eat! Cynthia Kmak is originally from Wisconsin Dells, WI and moved to Chicago about 2 and a half years ago. She has performed in Second City’s Training Center HouseCo, iO’s Harold team Bear Bones, as well as her independent teams Liam, Gross Orbit, Plantetary Defense Force, and Dodgeball Dungeon. She’s a graduate of Second City’s Conservatory, iO’s training center and completed studies at the Annoyance and at ComedySportz Milwaukee. Cynthia spends her days working with children on the Autism Spectrum in a therapeutic school, training people for endurance running, and being very silly. She’d like to thank all who have continued to support her throughout her adventurous life. 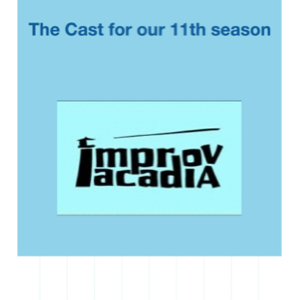 Jason is thrilled to join the 11th season of Improv Acadia! When not galavanting around Maine, Jason is equally as pleased to be a Co-Artistic Director and Founder of The pH Comedy Theater in Chicago. 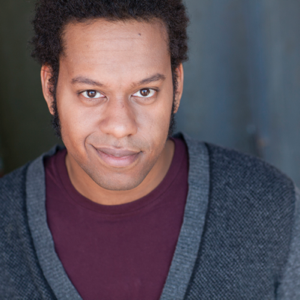 Jason has trained and played at The Annoyance Theater (in the smash hit, Steamwerkz the Musical) and iO Theater (2002-2012!). 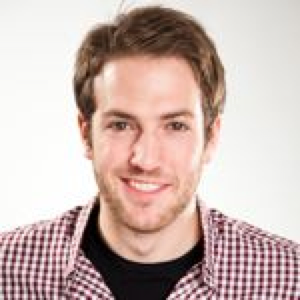 Jason has also taught and coached for iO, The Playground Theater, The Basement Theater (Atlanta), Huge Theater (Minneapolis), ImprovBoston (Boston), Zoo Improv (Champaign), Westside Comedy Theater (LA) and The Cosby Sweaters (Depaul University). Jason also likes directing, some of his favorites include Women On Top (improv), Mission:Improvable (improv), The Breakfast Club Musical (original musical, sold out 26 weeks! ), The Room: The Musical (original musical, sold out 8 weeks). Jason is excited for this summer, because in addition to ImprovAcadia he is directing two new original musicals: Flux Capacitor, A Very McFly Musical and Don't Pass Go, an original musical about Monopoly that he wrote...plus writing and featuring in pH's all gay musical sketch show, Gay is the New Black. Big thanks to my family, friends who encouraged me to audition and Jen and Larrance for welcoming me. Now let's get some lobstah! 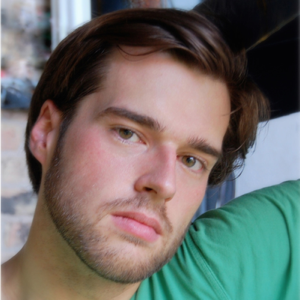 Max Ganet is absolutely thrilled to join the wonderful cast at ImprovAcadia for the first time! Max studied acting at Illinois State University and has been performing in Chicago for the last four years. He can be seen improvising with the iO harrold team Devil's Daughter, as well as his independent team Knuckleball. Previously he was seen performing with Chicago Shakespeare Theater, Provision Theater, Timeline Theatre, Piccolo Theatre as well as regionally at the Illinois Shakespeare Festival. TV credits include Chicago P.D. in addition to commercial work for American Lung Association, Walmart, and U.S. Cellular. He would like to thank all of his relentlessly supportive and loving family and friends, the incredible community of Chicago performers, and Jen and Larrance for giving him a shot! 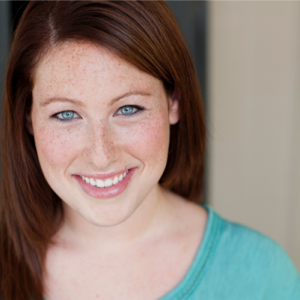 Katie Klein began her improv career in Washington DC, where she trained with the DC improv comedy school and performed with Comedy Sportz and iMusical. Now in Chicago, she has trained with iO and The Second City. She is a cast member of Second city’s Improv Extravaganza Explosion, performed with a their training center house ensemble and BenchCo. At iO she is on the Harold team “The Late 90’s” and performs weekly with "Virgin Daiquiri" and “Superhuman.” She is a cast member of the Laugh Out Loud theater and performs independently with her partner-in-crime, in their tag-team duo, “Ed and Kath.” Katie has coached, directed and taught improv and sketch around town as well as in other towns. She is very excited to spend time at ImprovAcadia this summer! 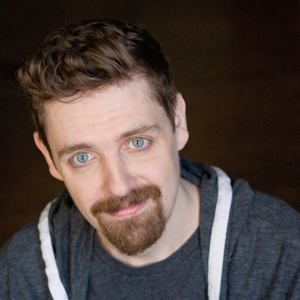 Thomas Einstein is delighted to join the cast of ImprovAcadia for 2014. He studied at Improv Asylum in Boston, and fell so utterly in love with improv that he moved to Chicago, and studied at iO, The Annoyance, and Second City. He has performed with the Second City House teams, iO Harold teams, and Improv After Hours, a weekly showcase at Stage 773. Last May, he co-wrote and produced “Your Best Friends,” a sketch show about dogs for the Public House Theater, and he has big dreams to co-write and produce another one this Fall (probably about birds, or maybe fish.) Thanks to Jen and Larrance and his lovable family. 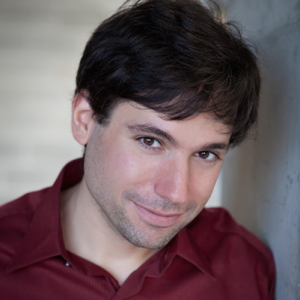 BRAD EINSTEIN is incredibly excited to be returning to ImprovAcadia for their 11th season!. 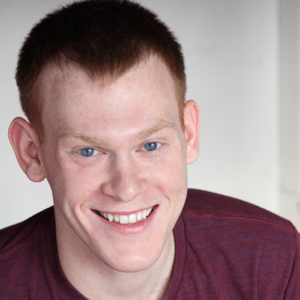 He has toured with Baby Wants Candy and Second City Theatricals aboard the NCL Epic, and is a resident member of ComedySportz Theatre Chicago. 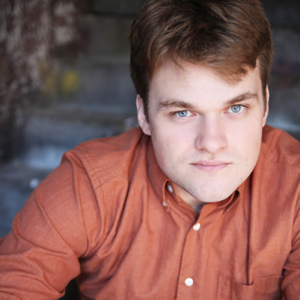 He has studied and performed at Upright Citizens Brigade Theatre, Second City, iO, and the Annoyance. Much thanks to Jen and Larrance, as well as his family. Enjoy the show! 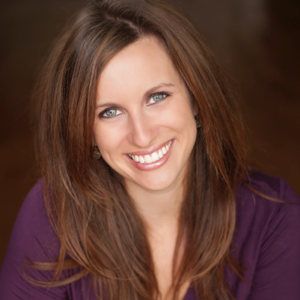 Lizz Mathews is a native of Kalamazoo, Michigan and discovered the world of improv in 2004. Since then, she has been performing and teaching improv all over the state. She helped organize and establish the annual Kalamazoo Improv Festival with Crawlspace Eviction, she was a founding member of Western Michigan University’s improv team, and currently improvises with Chaos and Main at What A Do Theater. She is delighted to be a part of the 11th season at ImprovAcadia and hopes you enjoy the show! Tyler is really jazzed to be playing at ImprovAcadia for his fifth year in a row. Tyler has been performing for years in Chicago, mostly with the critically-acclaimed improv group Claymore and the award-winning sketch collective Exquisite Corpse. In 2013, Exquisite Corpse's sketch comedy TV pilot was an official selection at the New York Television Festival where Tyler shared the award for Best Actor. You can see the pilot at www.claymoreproductions.com. 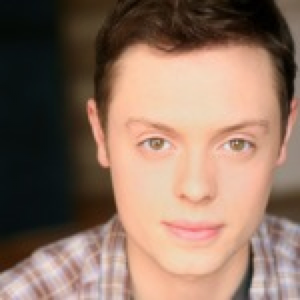 You might have also seen Tyler on the independent television pilot Family Heirloom and Showtime's Shameless. Tyler is also pursuing an MFA in Screenwriting at DePaul University. Big thanks to Jen and Larrance for their general and specific awesomeness. And all his love to his beautiful and talented wife, Mo. Mo is thrilled to be joining the cast of ImpovAcadia! 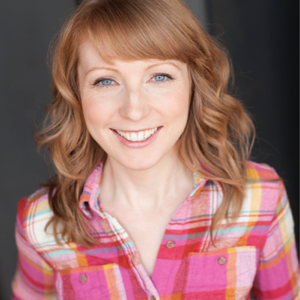 Mo moved to Chicago in 2007 as a professional tap dancer and quickly fell in love with comedy. She currently improvises with the Playground Theater member team, Sam Hill, and in the show Dodgeball Dungeon at Comedy Sportz. You can also see Mo rockin’ out as one half of the comedy rock band, Nightpunch (www.Nightpunch.com) and tappin’ out as dancer with JorsTAP chicago. She feels very lucky to have been cast in several shows at the Annoyance Theatre where she just completed a run of the original play, Team Machine. Mo would like to thank Jen and Larrance for this amazing opportunity and Tyler for being an amazing husband! Amy Roeder is delighted to be back at Improv Acadia for her tenth season! Most recently, she has performed with Second City Theatricals at the Cincinnati Playhouse in the Park in "Second City 2; Less Pride, More Pork." 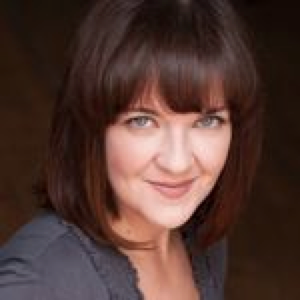 She has also performed with Second City Theatricals at the Denver Center for Performing Arts, the Alliance Theatre in Atlanta and onboard the NCL Epic and NCL Star and in Second City's "History of Chicago" show at the new UP Comedy Club. Amy has had the great good fortune to have improv homes at Gotham City Improv in New York, the Improv Asylum in Boston, the Playground Theatre in Chicago, Improv Athens at the University of Georgia, and at the incomparable ImprovAcadia. 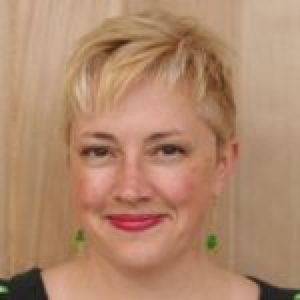 Amy holds an MFA from the University of Georgia and her BFA from the University of Evansville. Many thanks to Jen and Larrance for the opportunity and to her husband Eric. Tyler is incredibly happy to be returning to ImprovAcadia! Back in Chicago, Tyler performs with Devil's Daughter (iO), HouseCo. (Second City Training Center), Torque (The Playground) and Chaos (ComedySportz). He also just finished a run with his rapping improv team Rapture at ComedySportz. He thanks everyone for coming out to the show, and Jen and Larrance for letting him crash on their couch. Rumple! 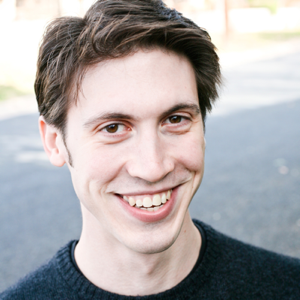 Ryan Simpson cannot be more excited to join the awesome group at ImprovAcadia for the first time! Ryan hails from the suburbs of Chicago and is a graduate of Illinois Wesleyan University, where he received his BFA in Music Theatre. During his time there, he performed with the University’s Improv Team, Jm7*, which he went on to lead in his final year. Since then, Ryan has been performing in theaters across the country, most notably in Colorado, Chicago, and right out here in Maine. This summer is his fourth season with Theater at Monmouth, where he is the Box Office Manager and also an actor, appearing most recently in Romeo & Juliet, As You Like It, and The Sorcerer. 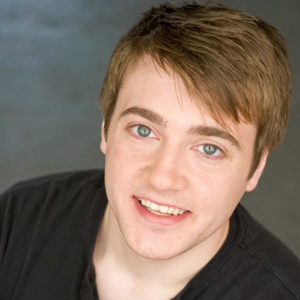 In Chicago, Ryan has studied improv at the iO Training Center, where he will be graduating this Winter. He also performs regularly with the improv ensemble GreenRoom Productions based in the NW suburbs. 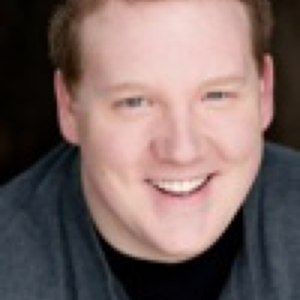 When not acting or performing improv, Ryan is a teaching/directing artist for Spotlight Youth Theater. So much thanks to his constantly supportive family and friends, and Jen and Larrance for this amazing opportunity to perform in this wonderful place! 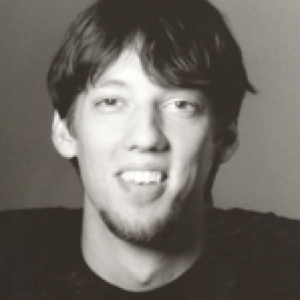 Ben Harpe is a writer, actor and musician originally from Dearborn, MI. He studied Theater and Art at Kalamazoo College. Ben improvises in Chicago with Devil's Daughter (iO) and Karate Van (The Playground). You can hear Ben on the original cast recording of The Lockout: A Musical (available on Spotify) and as host of the podcast What Am I Missing? 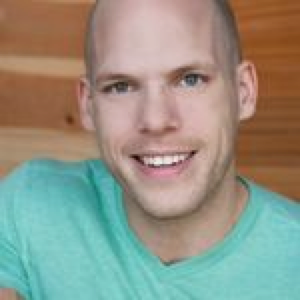 VINCENT KRACHT is honored to be included in ImprovAcadia's 11th season, returning to ImprovAcadia for his seventh season! 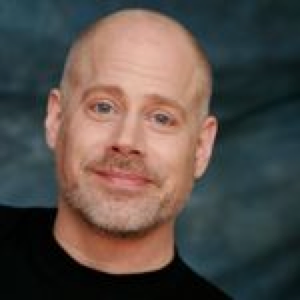 In Chicago, he has performed at Laugh Out Loud and The Comedy Shrine, been an ensemble member of GayCo, and was one of the founding members of "Cast on a Hot Tin Roof," Chicago's longest running, completely improvised play. For the past three years, in the Caribbean, Vincent has been playing Wilbur (and Mr. Pinky, The Principal, and others) in "Hairspray" on The Oasis of the Seas, a production which was featured last year, via live satellite feed, on the 66th Annual Tony Awards. 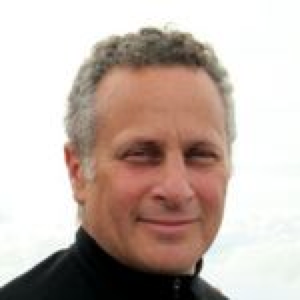 Larrance Fingerhut (Music Director) has been improvising on the piano since he was two years old. 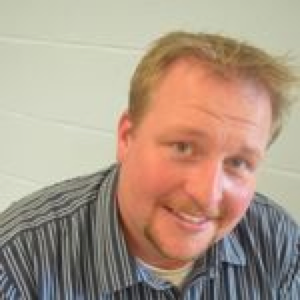 After spending 13 years performing and composing in the Bar Harbor area he went to Chicago where he was music director for iO, Baby Wants Candy, and Second City Touring Company, and a teacher and music director at Columbia College. He composes string quartets and music for theater and his hair is getting grayer every year.